I'd like to see you add another plane to the swappable series. I am starting to fly with the local RC group and one thing they would want me to get is a traditional top wing aileron trainer. They tend to want student flyers to steer away from the 3 channel planes and get right into the 4 channel planes. I'm thinking of maybe a modified Old Fogey with ailerons. I think that they want you to get a "traditional 40-size". It is a big difference to fly a larger realtively heavy plane compared to a "foam sheet". It does not necessarily have to be a "fuel machine". There are lots of fine Trainers in foam or balsa om the market, used or new. I'm willing to bet that pgerts is correct. While views are slowly changing, many times the folks at club fields are of the older generation and still view foam planes as just toys and that no skill is involved in flying them. Even if you had a swappable series sized plane with ailerons, it might not be enough to satisfy their requirements. You might want to check with them. I have a nice Sig PT 40 set up as electric that's a dream to fly. It takes a much larger field to do it in though. That is what it is! Fun to play with! Only different budgets from a (few) 100 up------- a twin or quad turbine equals a decent Ferrari in price but will crasch in about the same time as a cheap trainer. One thing about the bigger planes is people have more of a healthy respect or fear of crashing them. I notice that many people who fly foamies never bother to learn basic maneuvers. The importance of glide slope, flaring, setting up an approach, knowing your climb out rate, these things aren't as important to a pilot that can bounce his plane off a tree and keep flying. When you have 3D power and can climb straight up, learning to fly in a controlled manner and get off the runway appropriately while conserving enough speed not to stall is not a priority. The "older generation" typically values flight skills highly. Not many park flyers have to pass a test to fly on their field. Then again most park flyers don't have to worry about taking out cars or people if they get out of whack. I wouldn't look down your nose at the club flyers with their big expensive models any more than you want them to look down their noses at you. Sounds like you have a pretty good club if they are welcoming you into their area. We've had a few threads here where people experienced the opposite. If it's like the field I fly at when I visit my brother, you have to prove that you are a competent and safe pilot before they let you fly there without a trainer box. I wasn't offended by this. As I looked around the field, I saw a lot of people, cars, and very expensive models that took a lot of time to build. I wouldn't want to have some jerk get crazy and lose it and hit my stuff. These rules are helping everyone. Anyway, if you haven't flown balsa, there's a lot more at stake since you can't usually glue the pieces back together and keep flying. Getting a big wood trainer and learning the basic principles to a better degree is not a bad idea. I can tell you I fly my nitro wood planes a lot different than I do my foamies. And on that note, it's been a couple years of slowly rebuilding my one nitro balsa plane a little at a time when I get time. Compare that to my worst foam crash ever and I had it back flying in a couple hours. I definitely learned all the above mentioned techniques a lot better when I started flying wood planes. Rant really over this time I swear. The way the conversation went, I got the impression that they were more interested in teaching four channel flying right away, rather than the three channel setups found in the beginner swappables. And I'm not interested in doing anything other than foam scratch build right now. RoyBro, If you have a large field in your area go ahead and build the Old Fogey. 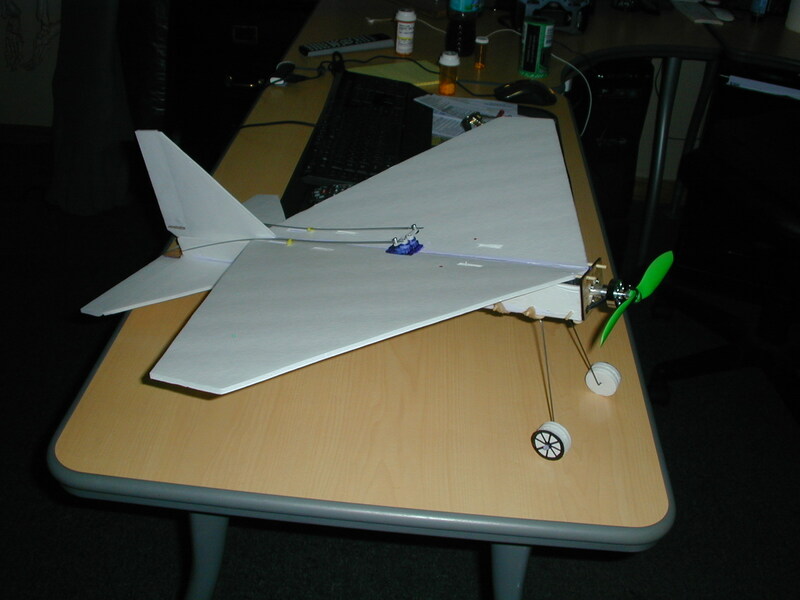 If you understand the basics of your controls you will be able to fly it on your own. Its a gentle giant that taught myself and my son the basics of RC flight. If you have access to a flight simulator a little time spent on it with a trainer model will help you become familiar with the Tx by touch. There is nothing wrong with having a mentor teach you, but trust me when I say you can do this on your own with a little patience. Worse case senerio you bounce the Old Fogey a couple of times into the ground. You can build another in no time and be back at it. I think they have the right idea. For a lot of people, the transition from 3 to 4 channel is a difficult as learning to fly. Are they making you learn or are these guys just offering to help? If it's club rules than you kinda don't have a choice if you want to fly there. If you have a foam 4 channel plane than I don't see why they wouldn't let you solo on it as long as that's all you are flying. I imagine if you show up with a balsa plane they'll want to check you off again. I do not really think that the number of channels are as important as the type of plane you are flying. I am going to fly a Radio Queen from 1950 today. The plane had just 1 channel as original - today i also have both elevator and throttle (just 3 channels) and can do most basic maneuvres like loops, rolls and wingovers. 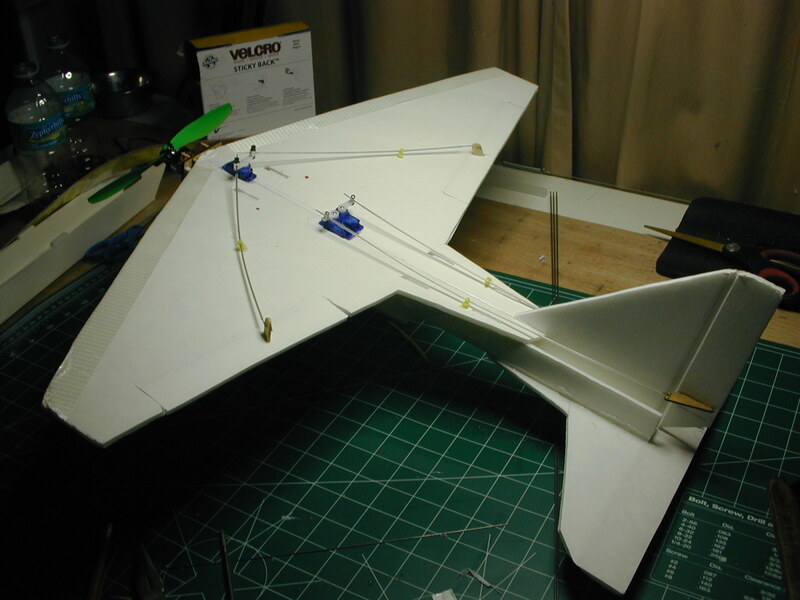 I can not imagine buddy box someone with a Funbat if you put a servo to the rudders - (or any swappable) - but i love to fly the funbat and really asks all club members to build one for really fun tearing the sky. But it is common to use a Bixler type of plane as the first plane for schooling. Next in step might be a Multiplex Mentor and still you are only using 3 of the 4 or more channels most of the time in the air. AK explained it in post #6 - there has to be some aerodynamics in a plane if you want to learn the basics. It is hard to get that in a flat sheet of foam. But normally if the club is willing to help, and you need a different plane, the lessons learned will take months to achieve with a foamy on your own. our club has a 46cu nitro size trainer that they teach new club members the basic's.. maybe they have something similar? They are setting up a training night each week to teach folks how to fly. I believe, in hopes of bolstering membership. It sounds like they fly all kinds of aircraft. Last week they held a ALES competition (Altitude Limited Electric Soaring). They also have indoor flying during the winter. So I don't think anyone is looking down their noses at anyone. They even offered to help me with multi-rotor. Seems like you have a nice club. Bet they have a nice grill/BBQ there to. It's not so much that they look down their noses (which does happen sometimes, and you can tell because there's only two or three active members, and they are often old guys because they run off all the younger folks) but that as mentioned, light foam planes are fairly easy to keep in the air. As also mentioned earlier, if you're allowed in under the premise of knowing how to fly the little foam planes, and then you do damage with a larger heavier plane because of lack of knowledge/skill, they're partly liable. Sounds like a great place to fly with cool people. That's the kind of club we should all have. The club has set aside Thursday evenings to teach novice pilots using simulators, buddy boxes, and mentoring. Nothing has been said about requirements. I believe that they've found that folks they've taught in the past do better starting out with 4 channel planes, and the traditional trainer is familiar. That sounds like a really good club! Last Thursday's meet was rained out. So tonight will be my first official Thursday. Since I haven't been able to get out to fly the nutball much, I've been practicing on the simulator. I was even following along when Bixler wast teaching Scott to fly inverted. After a couple of tries on the simulator, I was able to fly inverted as well. But I don't think I'll try that with their trainer. At least not tonight.